The U.S. economy shrank in the first three months of 2015, driven by a slowdown in shipping due to labor disputes at West Coast ports. U.S. gross domestic product, the broadest measure of goods and services produced across the economy, contracted at a seasonally adjusted annual rate of 0.7 percent in the first quarter, the Commerce Department said in its second estimate Friday. Economists had forecast the U.S. economy contracted at a seasonally adjusted annual rate of 0.8 percent in the first quarter, down from the Commerce Department’s preliminary estimate of 0.2 percent in April. However, economists say the first-quarter numbers are distorted by the unwinding of a backlog of exports and imports at West Coast ports. “It’s basically a meaningless adjustment. I’m not worried about it, and I expect it to reverse in the second quarter,” said Brad McMillan, chief investment officer at Commonwealth Financial Network. 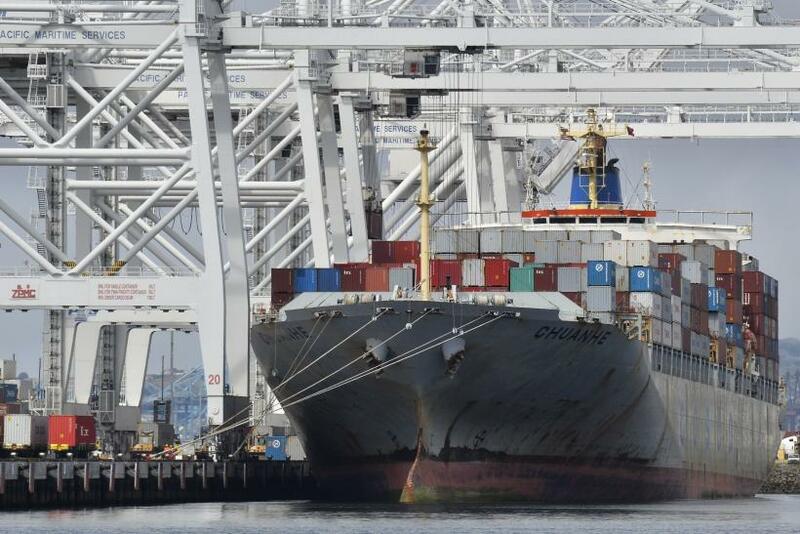 The West Coast port slowdown had a dramatic impact on shipping because as dockworkers and their employers negotiated a new contract, the disruptions prevented manufacturers from receiving inventories on time, slowing production. Harsh winter weather and a strong U.S. dollar also conributed to the slowdown in growth in the first quarter. 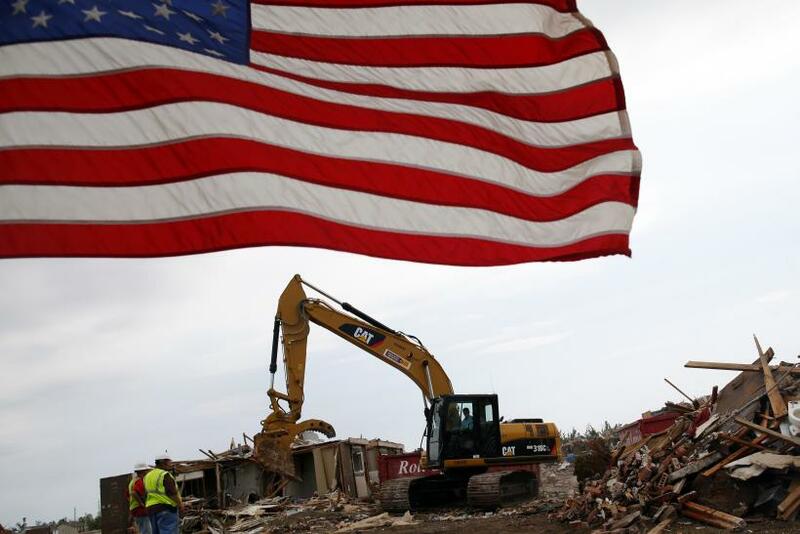 But economists expect the U.S. economy will rebound in the April-June quarter. “The service sector and the housing sector are probably going to be the driving force in the comeback in economic activity in the second quarter,” said Peter Cardillo, chief market economist at Rockwell Global Capital. Economists are unfazed by what they say are the anomalies of the first quarter. Cardillo and others note that the economy is likely growing at a rate between 1.5 percent and 3 percent in the current April-June period. The pace is slow compared with the same period a year ago, but it’s a far cry from the contraction of the first quarter. Data released this week showed U.S. business investment rebounded in April. Nondefense capital goods orders excluding aircraft, a closely watched measure for future business spending plans, rose 1.0 percent last month after an upwardly revised 1.5 percent increase in March, the Commerce Department said Tuesday. Meanwhile, U.S. consumer spending bounced back in March after a sluggish winter. Consumer spending, which accounts for more than two-thirds of U.S. economic activity, increased 0.4 percent last month after rising 0.2 percent in February, the Commerce Department said in April. The U.S. Federal Reserve expects the economy to continue strengthening this year, and most economists anticipate the central bank will announce raising rates at the Federal Open Market Committee's two-day policy meeting on Sept. 16-17. “If we see the strengthening that I expect to see in the second quarter, September is a very logical candidate for a rate hike from the Federal Reserve,” McMillan said. With oil prices stabilizing, Fed Chair Janet Yellen said recently she expects consumer price inflation will move up to the central bank's 2 percent target as the economy strengthens further. The Core Consumer Price Index, which excludes volatile components such as food and energy, gained 0.3 percent in April, the biggest monthly gain since January 2013, the Labor Department said last week. Jessica Menton is a writer who covers business and the financial markets. News tips? Email me here. Follow me on Twitter @JessicaMenton.